The most striking feature of the Award is that it is non-competitive, which infuses a sense of togetherness and selflessness among the youngsters, who generally face competition in every juncture of life. This not only helps the young adults bring out their best but also instills a sense of belonging to the society at large. The Award Programme Foundation is supporting a skill development programme for the development of rural areas under the Gender Diversity Empowerment Project. Areas like Singur, Baladbandh, and Kumroguri are under this project. 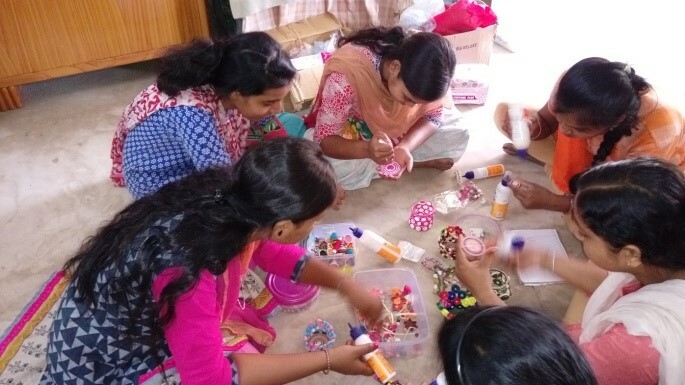 Through this project young girls learn skills like making handmade jewellery (earrings, bangles, clips and necklaces) by the paper quilling method and other paper craft skills. These products are also sent to various fairs, offices, and stalls for selling. The girls earn some money as after selling these items the profit is distributed equally among the girls. Through this financial help the girls are able to help their family for a better living. Some Award Participants from Baladbandh village have chosen “Paper Making -- Pen Stand” as their Skill for the programme. 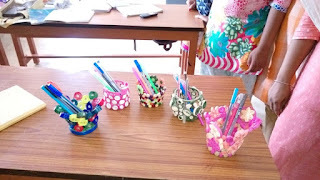 They made different types of pen stands using paper. They were allowed to sell these products at Kredent Tower, Kolkata on 24th March, 2017. Senior HR Executive of Tata Business Support Service Smt. 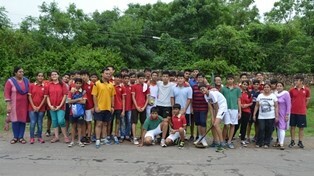 Shivani Goswami visited them and appreciated the work and creative ideas of the awardees. 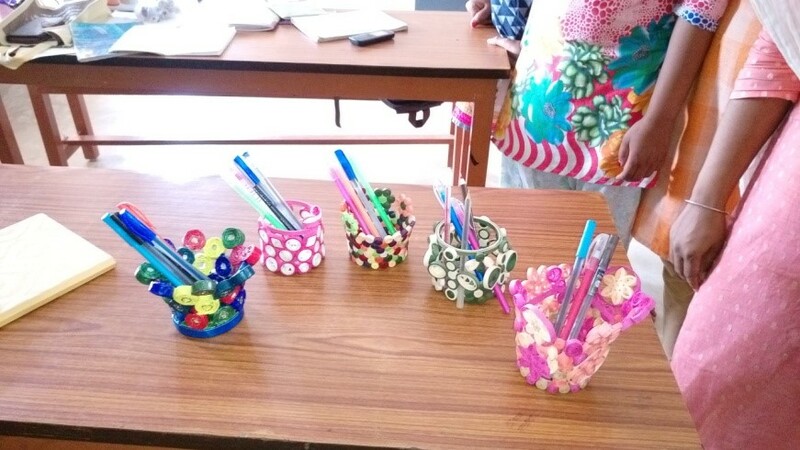 She decided to use these handmade pen stands as gifts for some activities of the company. From January to March 2017 these Participants sold the items at different fairs and earned around ten thousand ruppes. This amount was equally distributed amont the 30 awardees of Baladbandh village. Through this initiative many families have benefited. The project is helping these girls to develop the skills and earn while they learn. The International Gold Event (IGE) has evolved over the years into an advanced training programme on soft skills, service projects and cultural exchange events, and now focusing on leadership development for its delegates. This year, this much-awaited event, IGE-2017 will be held in Prague, Czech Republic, on the theme of “Engaging a younger generation in our sustainable future”. The Foundation is working on creating a provocative programme, planning field visits to provide delegates with the opportunity to discuss the challenges faced by young people, and deciding the effective application of the Award for a sustainable future within their local, national, regional and global communities. Gold Award holders are encouraged to plan their applications to participate in this mega event. Application form is available here. More details on IGE-2017 can be obtained from www.intaward.org. "My experience so far has been full of learning in these two days of training. To say that I was in need of such a programme that would enhance my skills and provide a better understanding of youth empowerment, would not be incorrect. While attending the workshop there have been some queries and doubts, however, with the passage of time and working in the field, they would be resolved. I feel that this youth development programme provides a wonderful platform to hone skills, confidence level, team spirit, and leadership qualities of young ones. For me, in simple terms, IAYP represents leaving our comfort zone to get the best out of us." "This is one of the best experiences of my life. I learned a lot from this two-day workshop. I feel this is a very useful programme for youth and their bright future. It enhances their level of service to the community, skills set, the level of confidence, and teamwork." "A tree can supply a day’s oxygen for four people." Nature has been one of the greatest sources of energy for living creatures. We are indeed blessed and privileged to reside in the heart of a wonderful, attractive and eco-friendly environment. Staying in this beautiful paradise proves to be extremely therapeutic and tranquilizing and also motivates one to give back to the environment what it gives us humans so generously and selflessly. 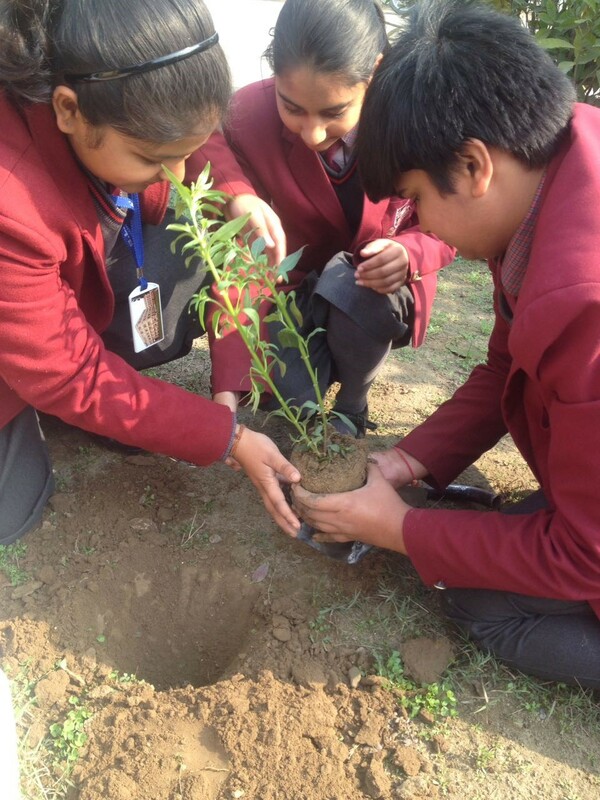 Planting trees is one such act of contributing towards the greenery of our surroundings. Armed with lots of enthusiasm, energy, and thankfulness, the Award participants from The Sagar School, Alwar, wholeheartedly invested time and energy in the plantation drive aimed at a clean and fresh environment. The participants planted these saplings with the hope that, with time, they will blossom into plants and trees, adding beauty to nature and providing food for animals. 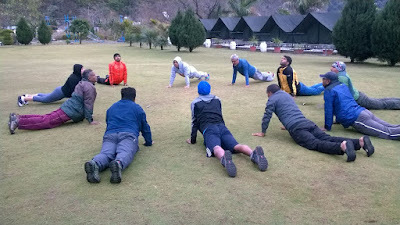 The National Award Authority organized a two-day Training Workshop for Trained Activity Service Providers for IAYP & ITAP license and interested Award Leaders of YES Centres to operate Adventurous Journeys and Residential Projects. 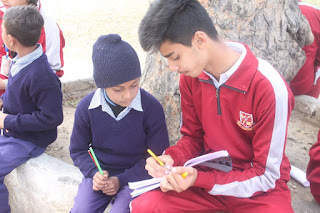 Eleven participants from nine institutions: The British Co-Ed High School, Patiala; The Aga Khan Academy, Hyderabad; Adventure Education Tours (Mumbai) Pvt.Ltd., Mumbai; Global Travellers Guild, Kolkata; Snow Leopard Adventures Pvt. Ltd., Gurgaon; Juniper Wings, Kolkata; Inside Passage, Dehra Dun and Holiday Moods Adventures Pvt Ltd., New Delhi participated in the workshop on 10th - 11th March 2017. "The two-day YES workshop based on practical hands-on experience and visually memorable training material given to the Award Leaders proved to be a complete learning experience for me. I think with the effective way in which the training was imparted and all the sections explained, this becomes one of the best sessions that I have ever attended. I feel grateful." "The Award brings in diverse experiences for the most vulnerable and able generation, which gives them stability and proper direction. It connects them with all spheres unexplored to give them a first-hand experience. Also, the Award equally helps in building character and shaping the personality of young people." "IAYP in my view is an excellent software required to develop the present youth into the well managed and independent global citizen. Through this Programme, I feel we can help each and every young person regardless of their upbringing or surrounding. There is a lot of hope and possibility for better opportunities to be explored through this Platform." "I have heard for the very first time about the IAYP Programme. I feel that that the Award provides immense opportunities for growth and development of Young people and makes them ready for their aspiring career and bright future. I am all eager to know more about the Award."